This layer offers few location sensitive adjustment to Emacs, such as automatically switching between light (day) and dark (night) themes, weather forecast and on OS X, also automatic tracking of location, using OS X's CoreLocation services. To use this configuration layer, add it to your ~/.spacemacs. You will need to add geolocation to the existing dotspacemacs-configuration-layers list in this file. On OS X, all of these variables get setup automatically if the osx-location service was enabled (Wifi must be turned on to make it work). In this case, if calendar-location-name was omitted, it'll be stringed-up calendar-latitude and calendar-longitude i.e. "41.23, 1.80". This layer implement a simple "theme changer" which, when enabled, will switch between first two themes the user has setup in dotspacemacs-themes. First theme listed will be used as light variant, while the second as the the dark. Other themes will be ignored by this layer, though they are still available for cycling, etc. Sunshine display local weather forecast. Setup OpenWeatherMap API key. Set sunshine-appid to some hash string from the openweathermap website. You need to sign up to the website to get a API key. Configure your location by setting the variable sunshine-location. You can provide a string, like "New York, NY" or a ZIP code, like "90210". This variable is available through the Customize facility. When specifying a ZIP code, you may receive results from a foreign country. This is due to weird behavior from OpenWeatherMap. To resolve this, append a comma and the country code after the ZIP code. Note the lack of a space in the example below. It will use the imperial unit system by default. To switch to metric, add sunshine-units 'metric to the variables list for this layer, or add this. Weather forecast icons are disabled by default, and can be toggled by pressing `i' within this mode's main buffer. 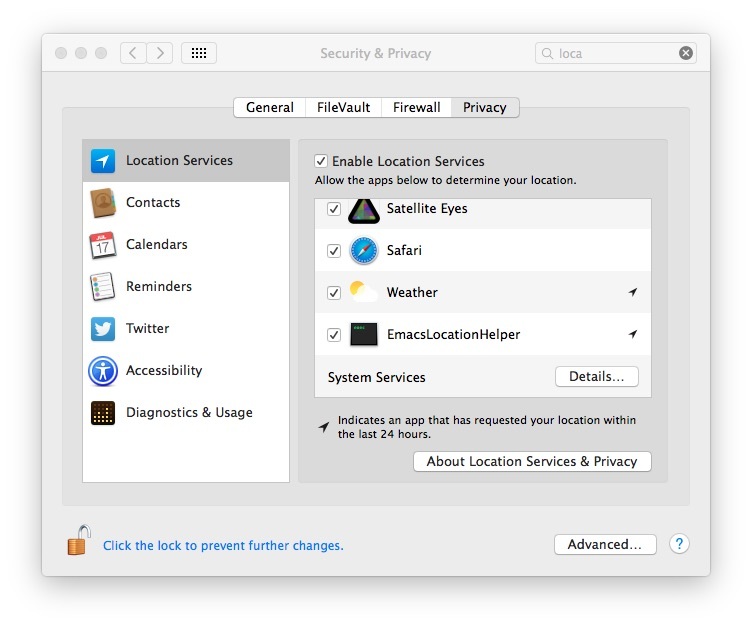 OS X users can take adavantage of automatic geogrphical discovery using the OS' CoreLocation system service, implemented as a long running background process. A helper script will need to be given proper access first time this layer is activated.